Free 20 minute Consult via telephone or Sype. Career Coach specializing in Job Loss Recovery. I help people heal the anger & trauma associated w/unplanned job loss when it isn't their choice. I help people land a job as well. Resumes, Interview preparation. Typically, individual coaching is arranged for weekly sessions via telephone or in person with weekly, monthly or three month package payments available. As a certified Career Coach I am helping people in this "new economy and marketplace" to 'reinvent' themselves and their careers by exploring options presented by the coachee's interests and talents and providing resources. Among my clients are educators, financial experts and recent graduates of law school. I help to empower these individuals to see that they have skill sets that lend themselves very well to other careers (including entrepreneurial opportunities) as well as interests and "hobbies" that are marketable. Through a coaching structure of brainstorming, goal setting, accountability and stress and time management they become open to possibilities and many are jump started onto a successful "new" career path. One session introductory coaching assessment-session in my Uniondale, NY offices or via telephone or Video Skpe. When you sign up for additional sessions you will receive the SOAR! with Resilience® ebook(s) and Eileen's Moving Meditation audio program. 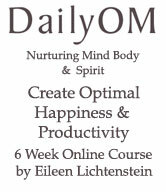 Multi-Week, plus "Maintenance", Peak Performance Success & Career Coaching packages available for optimal manifestation! on your site, via Skype, telephone, webinar. I have met Eileen at a networking event 2 years ago and was introduced to her Life coach services. I have been a client of Eileen since this time. 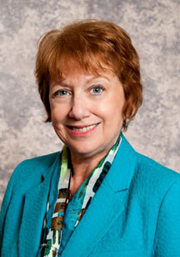 By working with Eileen, she has introduced me to practical/realistic solutions on achieving career and personal goals. My life has changed tremendously from Eileen's coaching. I know now with hard work, time and confidence in yourself, that anything is possible. I am very grateful to Eileen and would recommend her to anyone who is struggling on obtaining goals that you never thought were possible. a woman of outstanding leadership in 2014. A great gift for anyone on your list! One Session in Person and Phone or Skype Balance & Power Coaching Sessions available. You will learn to recognize what isn't working in your life and will be given the tools to assist you in the awareness necessary for your transformation to leading a balanced life. You will learn how to prioritize effectively, create and reach realistic goals and positive outcomes. Eileen will coach you on how to break the 'Conflict Cycle' and how to 'Access Your Best Communication Style'. You will learn Emotional Freedom Technique, also known as EFT/ tapping, so you can use your own body's energies to remove negative emotions. And if you are simply feeling overwhelmed with life, "sandwich generation" parenting or relationship challenges, this program will help get you unstuck, be fearless: SOAR! with Resilience? National and International Professionals discuss Personal Image, Corporate Image, Image in the Media and the impact each has on your life and many other issues.